Yesterday, I read a great article about value and reference types and how their performance behaves. I want to share my notes with you. Each scope provides the amount of memory it needs to run before it gets executed, then the stack pointer is moved and the scope is executed. Now, the scope can add and remove data to the memory it got allocated. When a value type is assigned, it gets copied (called Copy-On-Assignment). However, the copy is performed in a constant time. 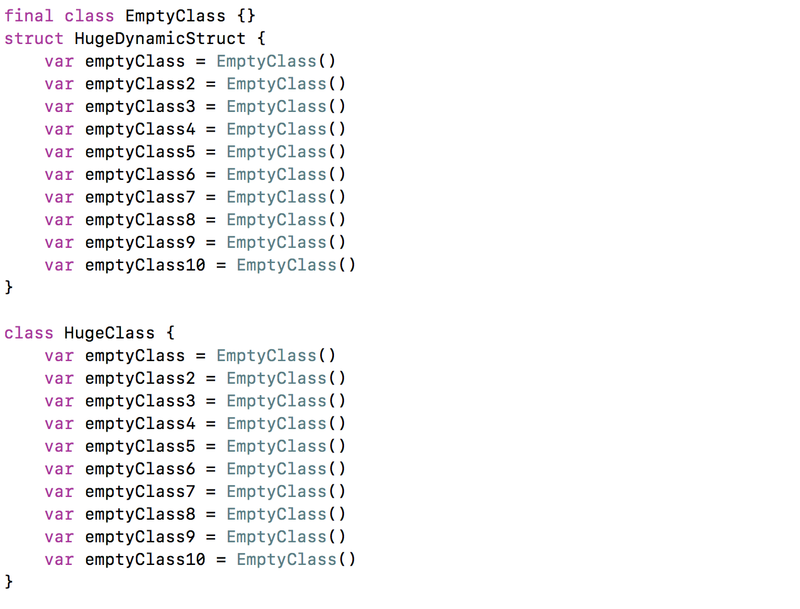 Unfortunately, it is not as easy as ’value types go on the stack and reference typed to the heap’. Every struct whose size is not known at compile time must be stored on the heap. Stack allocated value types are copied in constant time, heap allocated value types are not and will take more time. 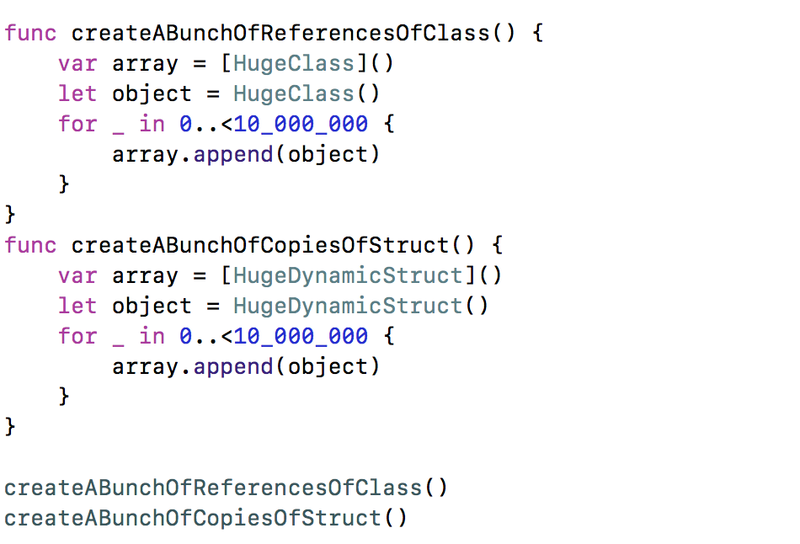 The more reference types a value type contains (more instances of EmptyClass in HugeStruct), the more reference counting overhead is added on copying it. Now, the struct is statically sized and the reference counting overhead is removed. 03.05.2018 "Memory Management of Value Types".